TheEden Bass DI Box is much more than a direct box. The WTDI is like bringing a little Eden preamp to every stage and studio gig. Keep one handy in your gig bag, case, or on your pedalboard and use it for your backline at the gig by going direct into the power amp section. You can also use it to add a 2nd, 3rd, or solo/boost channel to your current rig. The WTDI also works extremely well with acoustic guitars/basses. The rugged WTDI Direct Box/Bass Preamp is true bypass with both 1/4" and XLR (with ground lift) outputs. 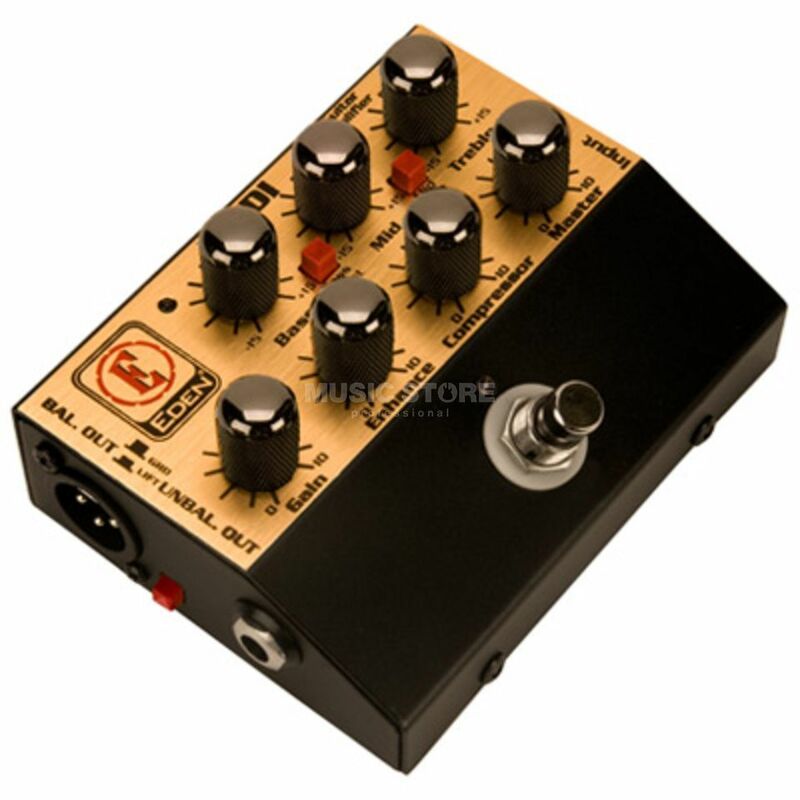 Besides 3 bands of tone control with bass boost and mid-shift functions, volume, and gain controls. Eden have also added variable compression and their legendary Enhance control. All this comes in a compact box complete with universal power supply. Also runs on most 12-18 volt-capable pedalboards and power bricks.